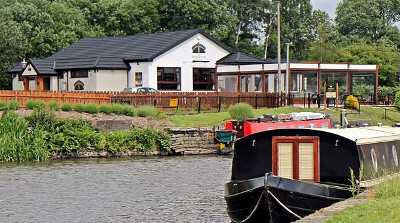 A POPULAR pub by the side of the Leeds & Liverpool Canal at Wigan will close on Sunday. It was four years ago that the brothers Jonathan and Grant Ainsworth took over the Water's Edge and renamed it as The Boathouse at Appley Bridge near Wigan, that proved to be a success, Alan Tilbury reports. But the pair also run another pub and so need staff including a chef, for which they have been having difficulty, so have decided to give up this pub. The closure of the flights on the Leeds & Liverpool Canal during the summer meant that there was no usual boat trade that also had an effect. It is not known what will now happen with the pub as the industry is suffering, with five other pubs having closed their doors in Wigan.